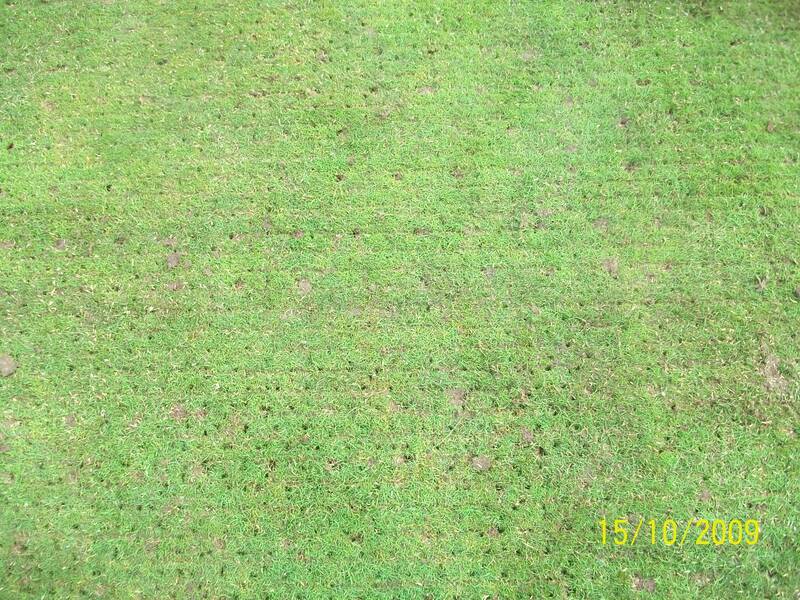 I’ve had a couple of enquiries asking about the correct methods, quantities and materials for Spring (pre-season) over seeding and top dressing of bowling and golf greens. This is easy; the correct thing to do in this respect is…Nothing! Over-seeding into a sward that is about to become very vigorous as spring progresses is futile. The new seedlings don’t stand a chance against the locals. Any new seedlings that did by some miracle survive the competition from the existing grasses would quickly succoumb to the heavy wear and tear from machinery and foot traffic the green is about to endure for the next 6 months. So there’s an easy time and money saver for today…more on top-dressing here. 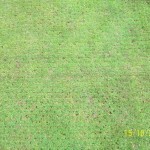 Thank you for your quick response re crow damage.Have been working on the thatch for the last two yrs am concious of the fact that it is a proplem that should be worked on continually.Last year the green was given 5 runs with t he scarifier is that too much?this year we hope to scarify followed by spiking to a depth of 5″ with a soil reliever and thanks to your comments of the 22nd will not topdress or overseed which will save us money which we can put to some other use.to my knowledge we have not used a wetting agent how important is that? The wetting agent is only important if you are having a lot of trouble with localised dry patch. Regular use can help in the recovery of hydrophobic soil. If the thatch layer is greater than about 1/4 inch then continuing with the scarifying is ok, but only during periods of active grass growth. There is plenty of advice on all of the above around the site. I have no experience in using Epsom Salts except for soaking my feet in them after a yomp in the Perthshire hills. Magnesium Sulphate is the active chemical in Epsom Salts and I know that some vegetable gardeners have used it to correct magnesium deficiency in nightshades like peppers and tomatoes and also roses. Magnesium is needed in plants for seed germination and chlorophyll production. It also helps to strengthen cell walls and with the uptake of other nutrients such as nitrogen, phosphorus, and sulphur. A common cause of magnesium deficiency (or more accurately, low availability) in soil, is low (acid) or very high (alkaline) pH, so this is where I would be looking to first, if I suspected magnesium deficiency. Its boring, but what are your thatch levels and compaction like? How does the green look and are there any other signs of high acidity (low pH) like slime or squidge? Any areas affected by Localised Dry patch? I like to get to the root cause rather than treat symptoms. Magnesium is required in such low concentration by turf, that it is likely to be available naturally if all of the physical factors are in order. This article explains my thinking a bit more thoroughly. If you do a search on “Circle of Decline” you will also find more articles related to the subject. You could try putting this up on the discussion area to see if anyone else has experience of using Epsom Salts on their turf. We have around 2500 regular readers, most of whom are very shy, but this might tempt them out.